How can having integrity support anti bullying? Why is it important to tell the truth even under difficult circumstances? When did you show integrity by standing up for what you believe in? Explain why it takes courage to show integrity and do the right thing. How do you feel when somebody treats you without integrity? 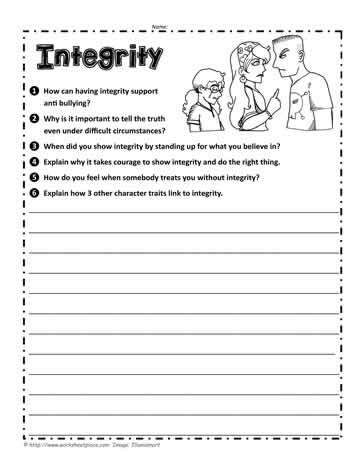 Explain how 3 other character traits link to integrity.